This recipe contains what Cajuns call the "holy trinity" – celery, bell peppers and onions. If you can, only buy shrimp exactly the way they came out of the sea, put the shells and heads in 2 cups of water and boil down until you get about 1/8 of a cup and add it to the mixture, it will add much more shrimp flavor to the dish. 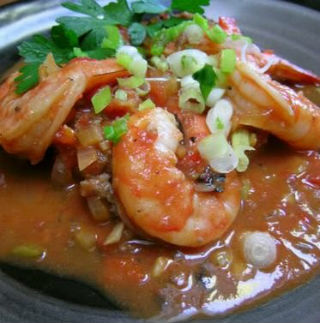 Formore shrimp recipes, please visit www.MissHomemade.com.